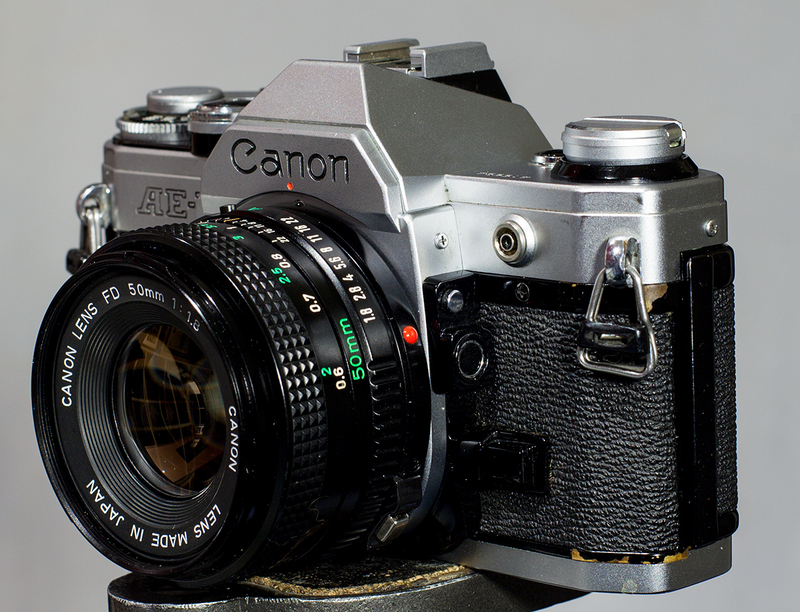 The AE-1 marked the introduction of micro-processor electronics to photography. For the first time microprocessors calculated exposure and timed the shutter, which in this case was still a fairly traditional horizontal cloth design. By 1976 all major manufacturers were busy overhauling their camera lines. 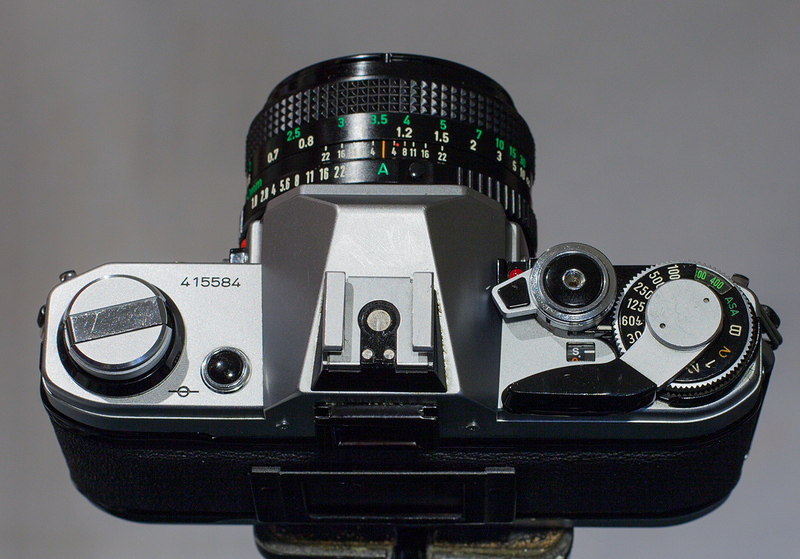 The models of the ’60s were bulky, and a bit clunky to hold – the aspiring amateur wanted the lens flexibility of an SLR but the handling characteristics (and light weight) of a rangefinder. 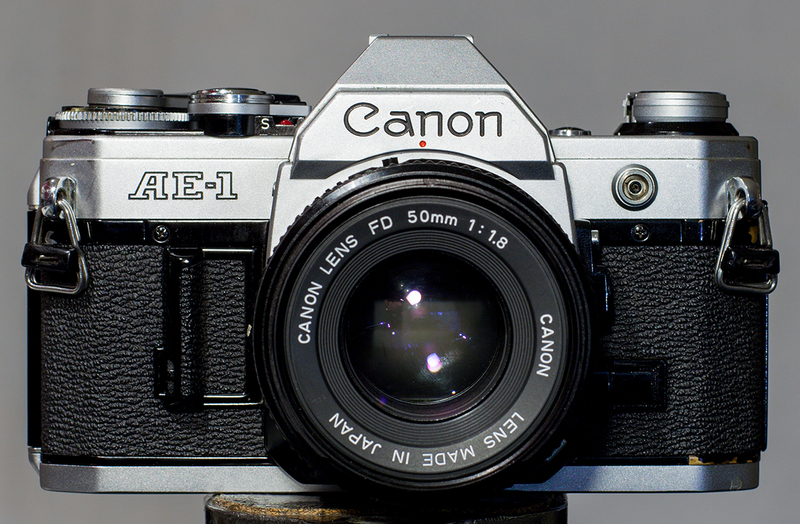 As part of delivering improved features and reducing size, Canon made a significant bet with the micro-processor controlled AE-1. The basic specifications weren’t much advanced from the models that preceded it – shutter was horizontal cloth and operated only to 1/1000th second. The chassis was smaller and lighter though, making much greater use of structural plastics than had been seen previously. Exposure was either fully manual, or shutter priority with the lens set to “A”. Manufacturers believed that most amateur buyers would find the nicely linear progression of shutter speeds easier to understand than f/stop values – and thus the preference for shutter priority. 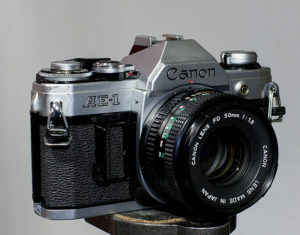 This was also consistent with more action oriented subjects, which was part of the draw of the SLR over a rangefinder. Exposure is indicated in a fairly traditional fashion, with a needle indicating the selected aperture through the viewfinder. In place of the usual self timer clockwork lever there is an LED hidden beneath the shutter lock switch – one of the advantages of micro-processor control that not all manufacturers offered even in years to come. 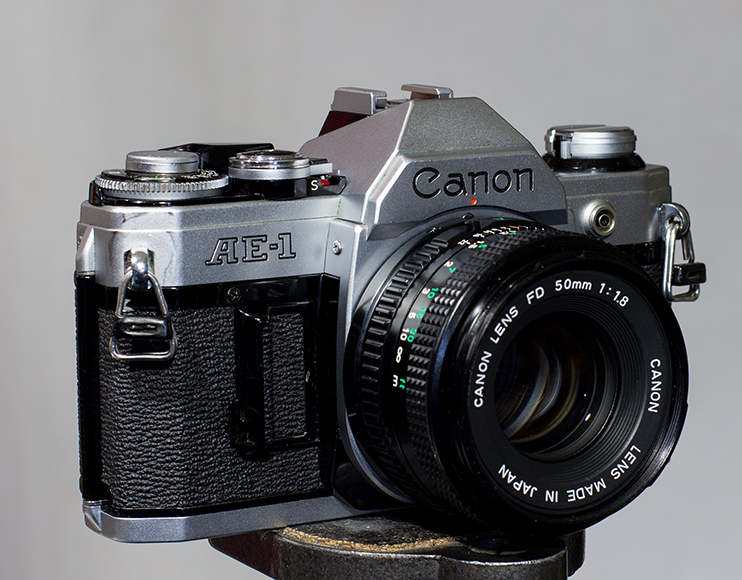 The AE-1 is the first use of micro-processors in a camera, and the model went on to sell over 1 Million bodies. It set the expectation with buyers for more features at lower prices, in easier to handle packaging, that remains with us today. Purchased in December 2012 from Kenmore Camera for $59, this is a very clean and usable example. Interesting to see the design cues that Canon has to this day, such as use of the right finger to rotate a control wheel to change shutter speeds. At this stage in development the dial is horizontal but, unlike prior designs which were clearly expected to be used by gripping the dial between thumb and forefinger, this shutter speed dial is shielded on all but it’s front face. The only way to use it is with your right forefinger while gripping the camera as if to take a picture. It’s an attractive, functional design that has aged very well.